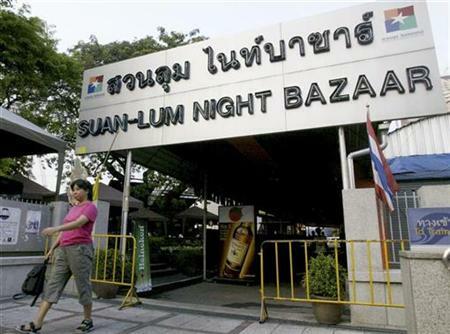 A Thai court has ordered shop owners at Bangkok's Suan Lum Night Bazaar to pack up and leave one of the city's most popular tourist spots. The Crown Property Bureau, which owns the land, said on Tuesday a court issued an order on Feb. 13 for tenants to leave within 30 days. Those who ignore the order to leave the site may face "seizure, arrest or imprisonment," the CPB. Last year, the CPB signed a long-term lease on a large chunk of the site with mall developer Central Pattana, which is planning to build Bangkok's tallest building as well a hotel and a shopping mall.